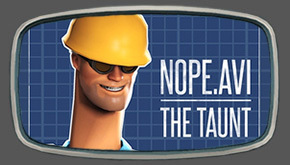 Hello, my name is Valve and I’m a TF2 updateaholic. It has been 25 days since my last update and I’m getting the shakes. I’ve started to get my young students to push out videos on their “pipeline” to satisfy my urges by proxy. One with Tom Bui, yes that Tom Bui, another with Michael Abrash but they sort of did a rush half-life, sorry half-assed job and I don’t feel fulfilled. Please help. Reddit was the staging point of a three way jump-off between Mr Muselk, tomasazz and Deep4000 from spawn to spawn in Badwater. Muselk takes the win with 7.4 seconds and earns himself our player of the week (and vint. Lo-Fi). The guys over at No Bullcrits have come up with an ingenious new tournament mode. 3 classes, 3 cap points, 3 minutes. You’re too late to take part (and possibly in the wrong continent) in their Au/NZ tourney but don’t let that stop you joining their steam group and catching up with the final matches. One tournament that’s still LFTs is the Awesome Cup #2 10v10. Saddly no strippers in this one. It’s the standard High Lander roll-out but with an extra Demoknight class. Staying with tournament news for a little longer, ESEA Season 14 TF2 LAN was happening this weekend gone, so that’s something. Steam are looking to see if it will blend: the steam workshop that is. They’re looking to release a version of freeware 3D software, Blender, to Steam specifically for artists to create submissions to the Steam Workshop. In our build-up to next week’s show at Multiplay’s i49 event we’ve just released the video we made of the Novint Falcon’s mini-comp we made last year. 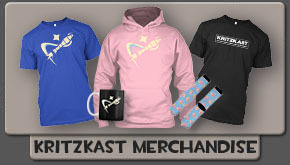 You’ll want to check out our i49 page on http://kritzkast.com/i49 when it goes live on Thursday too.